If you’ve got something to sell, at some point you’re going to need to present an offer. Sounds simple, and it is. There’s just one problem. Too often, we get caught up in how much our prospect should want what we’re feeding them. And then we get surprised when they respond like a toddler faced with a bowl full of broccoli ice cream. When my son was a baby, I got a very good piece of advice about feeding kids. It’s the kid’s job to eat it or not to eat it. They’re in charge of getting a forkful of the stuff in their mouth, chewing, and swallowing. 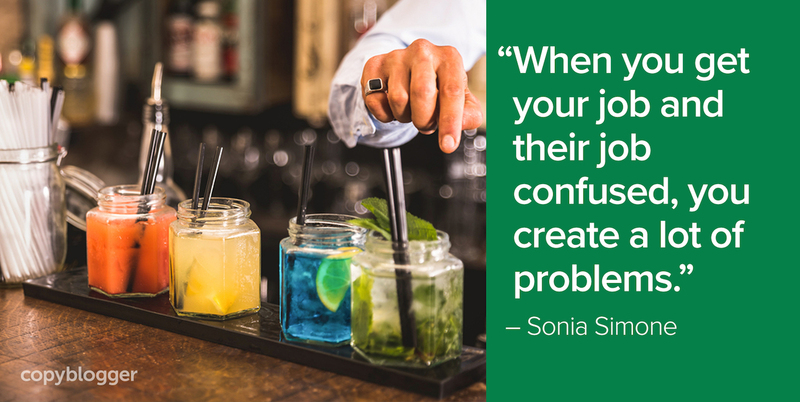 When you get your job and their job confused, you create a lot of problems. When you’re asking for a sale from a potential customer, you’re working with the same equation. C) It’s a lot easier for prospects to run away than it is for toddlers. Instead, review these four elements of an appealing offer. The best offers are nutritious — in other words, beneficial to the customer. Yes, you can definitely (maybe even easily) sell a product that doesn’t actually do the prospect much good. But you’ll get the most recurring business (and satisfaction) out of selling good stuff, not junk food. When your customers are truly better off for buying what you offer, they’re a million times more likely to spread the word about how great you are. It’s hard to build a solid business on products that are all seductive promises but don’t really deliver anything of value. On the other hand, you try feeding my kid broccoli. I think it’s fantastic stuff. I eat it every week. My kid considers it the culinary equivalent of waterboarding. To me, broccoli is delicious. To my kid, it’s not. Different markets want different things. It’s much easier to sell something people want than it is to sell something they need. We’re grudgingly pushed toward certain behaviors by our needs, but we’re pulled wildly by our wants. Basically, you have two options. You can find a customer who adores broccoli. They’re certainly out there. You’ll sell something like a smoothie. It has the vitamins, minerals, and fiber of the broccoli, but it tastes more like a milkshake. When you’re selling it, bring up the delicious taste first, and close the deal by making them feel good about all the logical health benefits. Strawberries taste good in summer. Hot chocolate tastes good in winter. Make sure your offer lines up with what your prospect is looking for today, not tomorrow or yesterday. You’ll make selling much, much easier. My kid thinks popsicles are nirvana, but even he won’t eat them when he’s playing outside in the middle of January. Even the tastiest dinner doesn’t look all that good after a couple of hours go by. That means you’ve got to set a time when dinner gets pulled off the table. If you keep your offers fresh by limiting them in time (or by setting a limit on how many you’ll sell), you make them infinitely more attractive. “Buy the blue widget for $47” may be a tasty, nutritious, and well-timed offer. “Buy the blue widget for only $47 if you order by midnight this Friday” has all the same qualities, but it also keeps the offer fresh and interesting. New and fresh is always more appealing than stale and boring. Remember, it’s your job to cook up fresh, tasty, nutritious offers and get them on the table. Obviously, you’ll use all the copywriting techniques at your disposal to make them as appealing as possible. Then, you observe. Did the market bite or not? If not, the two most likely culprits are that the timing was off (popsicles in January) or that the offer just didn’t look tasty (broccoli ice cream). Try adding a spoonful of sugar, in the form of more value or an additional bonus for the same money. Make sure you’re not talking too much about all of the “good for you” aspects, and that you’re instead emphasizing the yummy factor first and foremost. Either way, it’s not a rejection of you as a human being or a death sentence for your business. It’s just a dinner that didn’t turn out particularly well. Do a little work to figure out where your recipe went wrong, and try again tomorrow. With practice and observation, you’ll be cooking up consistently delicious offers in no time. The purchase always becomes the only way that you know if you’re doing it right or not. The customer is the only one that gets to vote and in their own democratic way, they either open their wallets or they don’t. I think you make a great point Sonia, where you empahsize that it’s the “wants” that make the world go ’round, not the needs. There’s only a handful of people making money on toilet paper, but just look at the amount of entrepreneurs that fulfill wishes and dreams by selling hobbies, jewelry, opportunites, and quality of life enhancement. Never forget that the customer needs to have the product placed in THEIR living room, or in THEIR shoes. That’s where that little bit of sugar will help every time. I think the most successful offers/products are the ones that do a great job at ethically selling the sugar to get people to take action and buy, and then once purchased they include motivational components that get people to take responsibility and consume the nutrition (which usually comes in the form of taking action and making a change in the way you’re currently doing things). But the sugar and the nutrition need to be aligned. The nutrition needs to have a benefit that speaks to people’s wants and desires and irrational passions. Broccoli does not have this. I was just thinking about this awesome guest post for Copyblogger I was going to write about how to find what your customers want to buy from you…low and behold…it’s already written! the reason I love me some copyblogger is that posts apply to the way you talk to people. This post? Hell, you don’t need to do it in writing, it works roughly the same way when in a one-on-one selling situation. I see marketing as a way to get people to me, and then I sell them. Service keeps ’em buying more stuff. Loved the fresh, organic analogies you chopped up for us. Hey, Sonia: I’m making a pretty big presentation today, and, lo-and-behold, here’s this perfect post! I feel like I’ve laid all the groundwork that you talk about here. I’m the smoothie salesman. And that’s what I’ll be thinking about in front of the board today. More than anything I think I got some good tips on how to get my 2 year old to eat her dinner. My folks had a system… My sister and I were expected to eat our supper. If we didn’t like it or refused, we had an option. We could have a peanut butter and jelly sandwich and go straight to bed. It worked. Admittedly, we weren’t subjected to ultra-spicy vindaloo, but we did learn to eat and enjoy many things we wouldn’t have otherwise touched. Unfortunately, we’re not our clients’ parents. We can’t give them the PBJ and tell them to hit the hay. @Mark, I totally agree, I think you put it very well. @Genuine Chris, there’s an old definition of advertising as “salesmanship in print,” and (expanding “in print” to “in pixels, obviously) I subscribe to that. What works in good online salesmanship (or mail order, or classified ads, etc. etc. etc.) is usually exactly what works face to face. @Bencurnett, good luck with the presentation! I hope your audience finds your smoothie irresistible. You started out with a very subtle, complex message. But this post makes it so clear, so simple, so concrete –we can’t help but GET it right away. But, what you said about emphasizing the benefits over features can’t be understated. Many sales people identify features and will spell out a benefit after, but it’s very effective to put the benefits first. The difference is subtle, in my mind, but does anyone else agree with this? I found we have a challenge helping our sales people actually differentiate between a feature and a benefit. Might be a worthy topic for a copyblogger post from one of ya’ll. It takes ingredients (product materials), a recipe (business plan), proper cooking equipment (product manufacturing), a chef (project manager), a kitchen staff (manufacturing staff), a waiter (sales people), a menu (website), proper visual presentation (product aesthetic) and taste (product function) for customers to become a regular. Listen, listen, listen. Right?! I, too, do one on one sales for my bricks and mortar and it is the same. Make the offer delicious and time sensitive. The only benefit of one on one is the ability to listen to them as they ho and hum. And then being able to craft your offer based on the ho’s and hum’s. With copy, you have to listen in advance. Taking in feedback, filtering it and using what you learn to craft the best offer. It is definately harder, but not un-doable. Excellent article. The only thing more important than a great offer is talking to the right audience. Yolanda is spot on in that the offer should be both delicious and time-sensitive, or to put it another way, compelling with a sense of urgency. “With copy, you have to listen in advance,” that’s a great way to put it, Yolanda. @Steve, absolutely, 100%. Benefits first, then features to support, is such a cornerstone of effective persuasion, but it can be fiendishly hard to see in our own selling or copywriting, I’ve found. Simple but it takes practice to retrain ourselves. Good luck with your project! As a kid, I used to put A1 on my broccoli. With enough steak sauce, you can eat pretty much anything. My father also used to tell me that Hulk Hogan eats broccoli, and that he wouldn’t like me if I didn’t eat it too. The first is an example of selling the magic bullet. The second is an example of using storytelling to sell. In both cases, it worked. I guess copywriting really is like getting your kids to eat. Very munchable post Sonia. The French cook carrots and put them in the buttery mashed potatoes and sometimes hide cooked greens in too. I was served this as an adult. Katherine laughed and said cooking them that way was habit, from raising her son. To geet eem ees vey-ja-ta-bles. LOL. I ate them. They were way good. And I felt so much perkier after…. What is it with sons? Seriously, great concrete example. Love it. In copywriting as in life: more butter, more better. Most of us have done it at some time, and this is a timely reminder, Sonia, thank you. @Jon, I adore A1 beyond all reason, but on broccoli? You are insane. @Nic, yep, happens to the best of us. Except possibly Brian, but I’m not sure he’s 100% human. He actually puts this stuff into practice consistently, as opposed to the rest of us who forget about 3/4 of the time. Great analogy. I liked the timing portion. I always feel like winter comes earlier and earlier each year because of companies selling these kinds of products months in advance. Enjoyed reading. Keep it up! Love the feeding analogy. Reminds me of a question Mr. Know-It-All got in the latest Wired magazine. Someone asked if it mattered what music they played their baby because while they wanted the benefit music had to offer [read: Make my child a genius], but they couldn’t cope with the stupid lyrics and melodies of groups like The Wiggles. While it doesn’t really matter what music you play to help the cognitive development of your child, The Wiggles are popular with kids because, well…they LOVE them. Ever tried to get a child to listen to Phillip Glass? Astor Piazolla? Won’t work. Give them what they want and they’ll eat out of your hand. Great topic/post Sonia. You have a way of bringing to my level. I appreciate that. @Demian, ah, thank you for putting Piazolla into my head. That’s a good Friday afternoon brain-soundtrack. Sonia, how great to read something lighthearted but true. I don’t know about USA contract law but in English contract law it is the buyer who makes the offer not the seller. The seller makes “an intention to treat” and it is up to him/her to have something up for sale that the buyer wants and so is induced to make an offer to purchase. That’s interesting if you think about the psychology behind the legal definition of a contract – intention to treat (seller), offer (buyer), acceptance (seller), consideration (buyer, we hope). If what we sell is unwanted, unattractive, packaged incorrectly or too expensive, no one is going to make an offer. @sonia I gotta have more Cow Butter! I’m now thinking of the sideways sales letter as the smell of cooking onions that gets you to start feeling hungry 20 minutes before dinner is ready! It’s funny but my site (www.RaiseHealthyEaters.com) is all about effective ways to feed children. And I’m always talking about the division of responsibility of feeding that you wrote about. I’m gearing up to offer some products soon — so will take your advice. Thanks for the great post! Boy i hear of an offer before many many times but never put in the way you put it. I have a new approach to making offer to my customers. That is the single best photo/image illustration I’ve ever seen on a blog post or website anywhere. Perfect match to your title. Nice out of the box thinking! I would never compare getting sales with feeding a baby, but you did it so well! Steven, you’re correct. Features don’t matter… Benefits matter. I’m pleased that I can clearly read this post on my iphone. I don’t care about the technical feature that makes it possible. People waste enormous amounts of our time rambling about their features when they should simply tell us how their product/service will make our life better. @Catherine, that’s a good analogy! Great information as always!Will definitely put these pointers to use. @Flyss – Touch of white space. For “intention”, please read “invitation”. One comment “The purchase always becomes the only way that you know if you’re doing it right or not” contradicts “Yes, you can definitely (maybe even easily) sell a product that doesn’t actually do the prospect much good. But you’ll get the most recurring business (and satisfaction) out of selling good stuff, not junk food”. It’s easy to sell something that’s candy coated. Measuring success should be done by looking at a combination of sales, returns, repeat customers, and new customers via referrals not the ability to close a deal. Very respectable article as long as it’s used to sell products and services that satisfy. Hopefully that point is not lost. There is no shortcut to understanding the prospect. Too many creative professionals think they know what the prospect needs before they achieve understanding. To follow your metaphor, find out the cuisine the client likes when you cook the presentation dinner! Also, I think there is a distinction between buying a service or a product. Generally, you buy a service to solve a problem. But you buy products because you want them. Are there vendors that sell a service like this? You get an idea for a product, but you’re not sure if anybody will really buy it. You turn your idea over to a company that 1) writes quality copy explaining the offer, and 2) runs Adwords ads pointing to this copy above a signup form. If you get X number of subscribers, you decide the offer will sell, and so you develop the product. If you don’t get X subscribers, you don’t develop the product, and go on to the next idea. Phil, there are numerous companies who utilize this approach. We do this for new ventures we’re considering. We build a site, construct basic marketing materials and put a little budget toward promoting the site. If we hit a predetermined interest level, we’ll pursue the venture. If not, we’ll table the idea to possibly revisit later. You spend a little money to save a lot of money. Or, you discover there is a market and you can make some money. Like a baby food product ads on TV, Shat and high nutritional ,…. funny but it made a major contribution to some authors lay, making the idea grew. Thanks! This is true about first giving people what they are more likely to want, and then following that up with what they are more likely to need. You can’t make juice from an orange until you have the orange in your hands. It is very true that the needs people have are not what our initial message should be about, because people often run from their needs, so they would then run from our message as well. It is sometimes counter-intuitive the way to try to guide someone into actually helping themselves with our service, product, or other output. I find that coming out and telling the customer whats in it for you is the best way to start a sales page or a heading. Many times I will even put “Here’s What’s in it for You:” and then give a short bullet list or 2 sentence answer. Hey Sonia, this post is absolutely awesome! To me the best bit was the end when you said not to take it personally when a sales offer doesn’t work. That is very profound. It’s so hard not to get emotionally involved when you believe you’re offering strawberries and cream at knock down prices but readers prefer their broccoli ice cream. And of course the persistence to keep trying until you find something that works. @Pat, that’s one that was hard for me personally, and I’m finding it’s often hard for my students and clients too. Perfecting your message and offer takes some time, and it’s easy to think, “This [pay per click/blogging/direct mail/&c.] stuff doesn’t work,” when actually it just needs some tweaking. If your reputation, relationship, and authority are outstanding, you can get better results more quickly. But the old-fashioned conversion work like tweaking the offer is still important and can get lots more prospects turning into customers. Excellent as always. When thinking benefits over features I believe that the benefits when showcased properly allows the reader/customer to draw that picture in their head of how they can use the product and that leads to sales. In this post, reading it we (or at least I as a visual thinker) get a vision of your child hating the broc and then think of mine loving it. This caused me to want to read on to see what is next. Albeit being a parent I was emotionally attached as I was able to get the vision of my son. In targeting customers that is the reaction that you want – the emotional pull to have to want to learn more which leads to feeling of need and then to purchase. Popsicles – my son would eat em inside or outside in the dead of winter. Would probably eat an entire box in 1 sitting if I let him. But at the same time, in the grocery store he proudly picks his fruits n vegi’s as he says “we never say no to fruit and vegi’s”! Now, if he only stays that way in 8 years when he becomes a teenager then I did good! Many times we offer the best but forget to ask ourselves: Is it suitable for your customer? Great tips!! People buy based emotion the n justify their decision with logic after. Do readers here buy based on emotion, and then justify it later with logic? Of course… The reason anyone does anything in life is to “feel” something… even if it’s on a subconscious level. But you did… and aren’t you glad because Sonia did a great job? Never a truer sentence written. I’ve been working on an email campaign to tempt non-gym goers into a gym, and it’s exactly the same sentiment. Every single one of our target audience knows that they’d get healthier in a gym, but the fact that they don’t attend already means that we need to give them a different, ‘tasty’ motive. Just another example of how starting with your audience and working backwards makes all the difference. BrianGuy, thanks for your reply. That’s a powerful statement, with a lot of truth in it. I’d hope future articles might try to explore this in depth. It’s tricky though. I want income primarily for emotional reasons. But then I analyze business software that can help me do that with logic. If the seller insists on telling me how good I’m going to feel when I have more money (something I already know) a resistance builds, because I’m reading their copy to learn things I don’t already know. But anyway, what I’m hoping to get at is this. Copywriters have a tendency to do psychological analysis of “people”, “them”, “the prospect”, in other words, somebody else. Your first post is about “people”, and your second post uses me as the example (which I don’t mind). Do WE purchase based on emotion, and then justify it later with logic? Do you BrianGuy do this? Unless we can answer this with a resolute and honest yes, then the whole principle is brought in to question, because we are people and shoppers too. It all goes back to the Teaching Sells philosophy that Brian & Tony Clark preach… and I say “amen” to. >But the old-fashioned conversion work like tweaking the offer is still important and can get lots more prospects turning into customers. @sonia are you implying that work pays off? That’s the craziest thing I’ve ever heard. …then it seems to follow…. … that we are writing for essentially emotional reasons. As copywriters, especially on blogs like this, we spend a lot of time psychologically analyzing the motivations of readers. We want to understand our audience, it makes sense. Perhaps we’d get even more leverage from a process of psychologically analyzing ourselves. Why are we writing, what motivates us? How do our real motivations affect our writing, relationship with readers, and our sales? This seems like a productive area of investigation, that maybe doesn’t receive a lot attention. I’ve been reading copywriting theories for 15 years, and it’s always the reader on the couch. How about we take a year off from that, and put ourselves on the couch? Now THAT would be interesting…. @Brian, ok cool, we agree on the importance of analyzing ourselves. But did you notice we’re still talking about the readers motivations, instead of ours? I apologize. I don’t mean to put you, or anybody, on the spot. I’m trying to point to something larger than you and me and this thread. Across copywriting culture in general, there seems to be endless interest, and genuine enthusiasm for, analyzing readers and prospects. Book after book, article after article, thread after thread, etc. Discussions about our psychology, the writer and seller’s motivations, tend to be ignored, or quickly dismissed with quips and jokes. A rhetorical question could be, would our businesses benefit more from analyzing ourselves than from analyzing others? And if yes, why don’t we spend most of our time doing that? If we’re avoiding analyzing ourselves for understandable human reasons, could readers and prospects be resisting our attempts to analyze and manage their psychology for similar reasons? In case it’s unclear, I’m not referring to morality and being a good person etc, which doesn’t seem relevant here. I’m referring to effective writing and selling. Would we be more effective if we studied ourselves with at least the same enthusiasm we study others? @Phil, I’m definitely all for self-knowledge, but assuming that you, the copywriter, have the same motivations & psychology as your buyer can be dangerous. Sometimes you do, sometimes you don’t. Obviously there’s always a balancing act. As to the question about whether readers here buy on emotion first, then justify with logic, since that’s what most people do, I think that’s probably what most readers here do. Many people don’t know that’s what they’re doing, but there’s a massive body of evidence that that’s exactly how human beings make decisions of any kind. @Genuine Chris, agreed, I am a complete wacko. Uncovering visitor needs and wants in exhausting. How to create an offer that does not look like an obvious marketing ploy is a true skill. Thanks for your article – it helped me crystalize how to orchestrate our offers to be more effective!!! @Sonia, agreed, I’m not suggesting we assume anything. I’m offering a theory that investigating ourselves could possibly be a better business investment than analyzing the buyer. We’re trying to create an agreement, a meeting of the minds, between ourselves and the buyer. That’s the job. Which mind do we have more control over, ours or theirs? Where is the point of greatest leverage for this transaction? Where can we get the most bang for our analysis buck? Could changing ourselves be more effective at closing the deal than changing the buyer? Are we really motivated as writers by what we’re supposed to be doing, building trust and closing sales? Or is our own emotional need to feel clever and powerful getting in the way? Let’s say I have a clever plan to manage your emotions so that you’ll read my posts and buy my opinions. If that is my relationship with you the reader/prospect, am I really a clever enough writer to hide my plan from you, or make you enjoy my interest in managing your emotions? Am I? What would be the most effective way to win you over? An ever more clever plan to change your behavior? Or dropping my plan, changing myself, and communicating with you from a different point of view, a point of view that is more about you, and less about me? Copywriting strategies are all about how to get what we want. The only problem with that writing point of view is, the buyer could care less what we want. This is a great post with a great analogy behind it. There is the need to ensure that people have products that mean something to them, not just a fad. You get your information across in a great way (as usual) so thanks Sonia! Having helped raise 5 children, I loved this analogy. I lived through this battle every meal time and your photo says it all. I resorted to the spoon-is-an-airplane trick to make a game of eating it. Playing that game ensured my child would eat more and sleep longer. Without the entertainment factor, they just got bored and stopped eating. This is good information on setting up an irresistible offer that pulls the reader in to persuade them to do. You have rapidly become one of my must reads! I’m still a newbie blogger and I enjoy learning from you. Excellent information ( and perfect picture too)! I found this post incredibly simplistic and what I would assume is taught in a marketing 101 class. I can’t get over how many posts there are revering this post as an epiphany in how to sell, anything. But then again I grew up with a mother that put sugar on broccoli, noodles, cottage cheese…and tomatoes. Well, you’re right that it’s an extremely basic idea — but unfortunately, it’s probably the single most common mistake I see when people are trying to market their business. And unlike some other common mistakes, this one is fatal. 9 times out of 10, when I talk with someone who’s not getting results in their marketing, it’s because one of these “obvious” fundamentals is out of whack. So yes, we publish posts on the basics, because we’ve found that’s extremely helpful to people.